My twelve-year-old placed the Harry Potter Warner Bros. 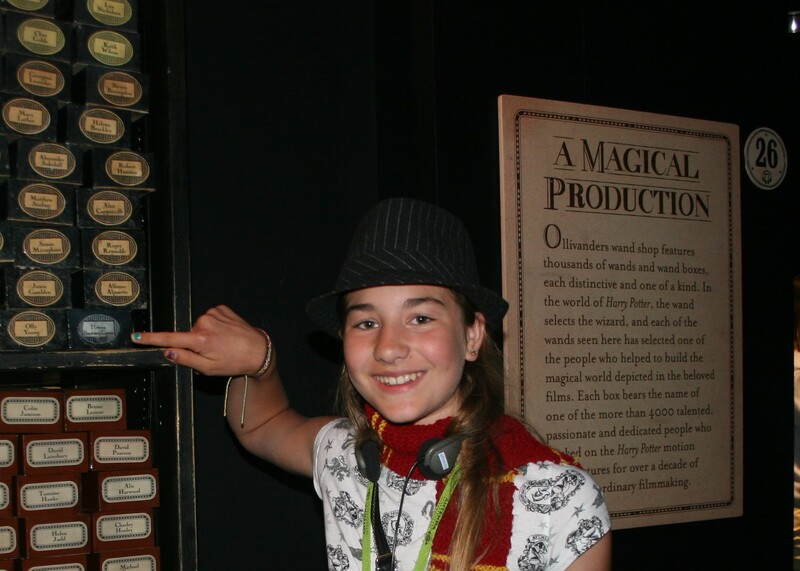 Studio tour firmly at the top of her list of places to visit when we were in the UK. Following our visit to the Dr. Who Experience her younger sisters were more cautious. Friends who had visited previously, assured them that it was amazing and not a bit frightening but I’m not sure they were totally convinced. Of course, their friends were right, it wasn’t a bit scary. 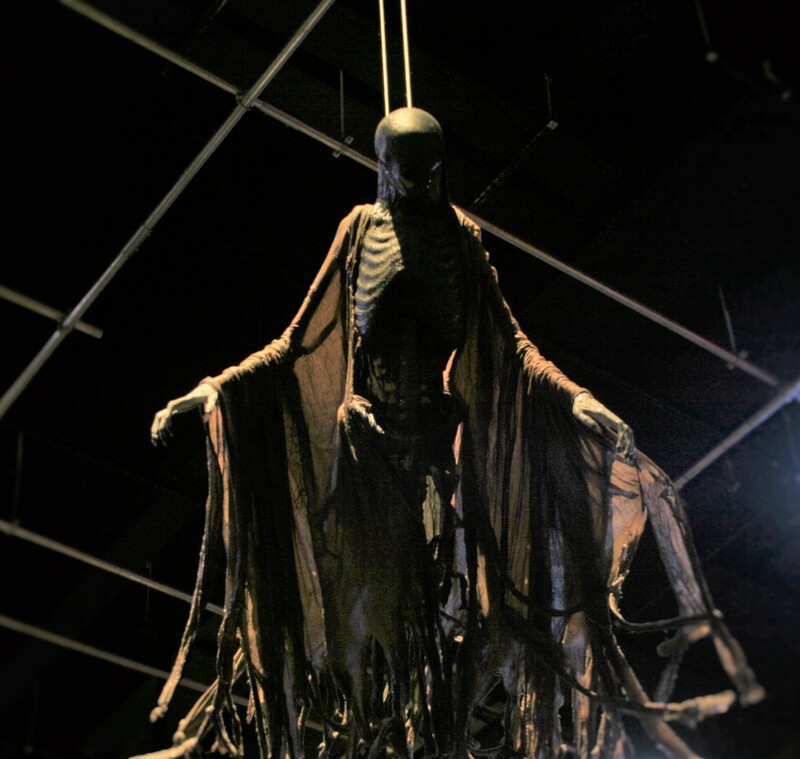 You are taken on a journey to see how the film was created and seeing the special effects behind the film alleviated all their fears, especially seeing how tiny the dementors are in real life. Warner Bros Studio Tour is located North of London so we stayed nearby at North Hill Farm. As a family of five it can be difficult to find hotels and B&B’s that allow us to share one room. The family room at North Hill Farm slept five and was perfect for all of us. Excitement mounted as we drove into the car park and saw the signs and statues outside. All visitors require advance booking with timed slots and this allows for a wonderful experience where you never feel overwhelmed by crowds and everything is easy to see without queues. 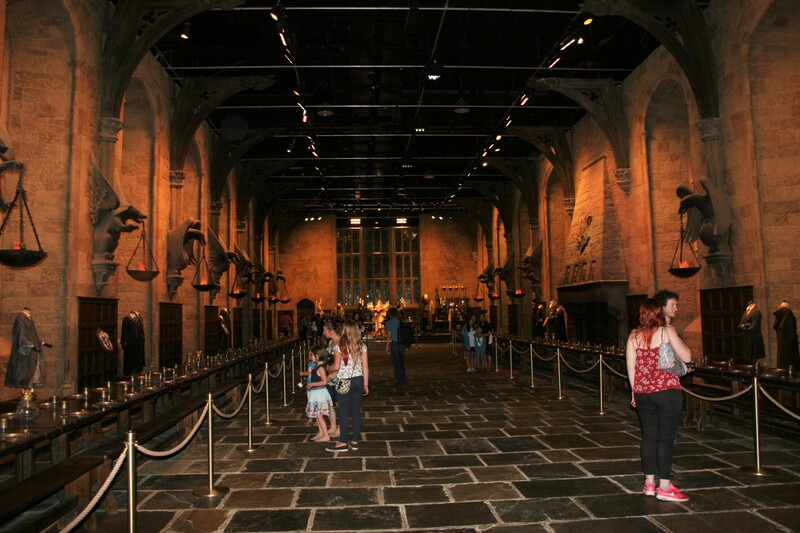 I have to admit to feeling a little emotional watching the introductory film and completely awestruck when the doors opened onto the great hall. Groups are led by a guide into these first two sections, while the rest of the tour is self guided. 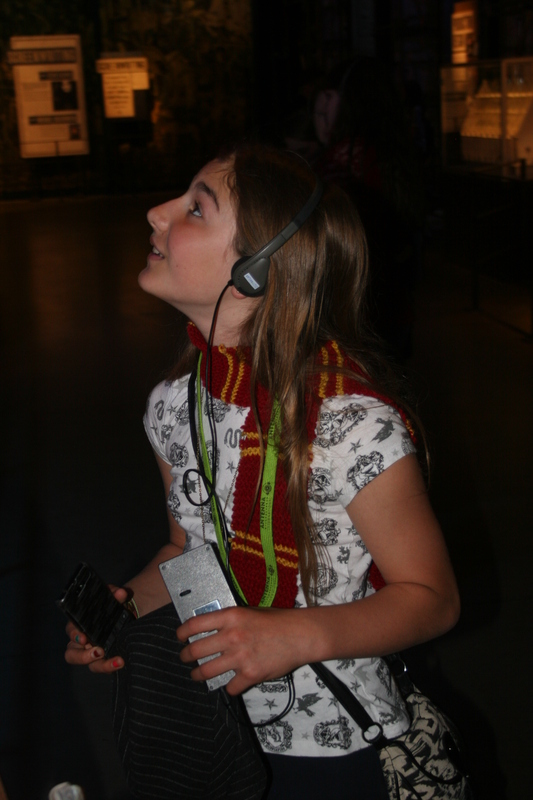 As a Harry Potter geek, my daughter listened to the audio tour. I knew she would appreciate facts and figures but without it most exhibits have a guide or video screen telling you more about it. 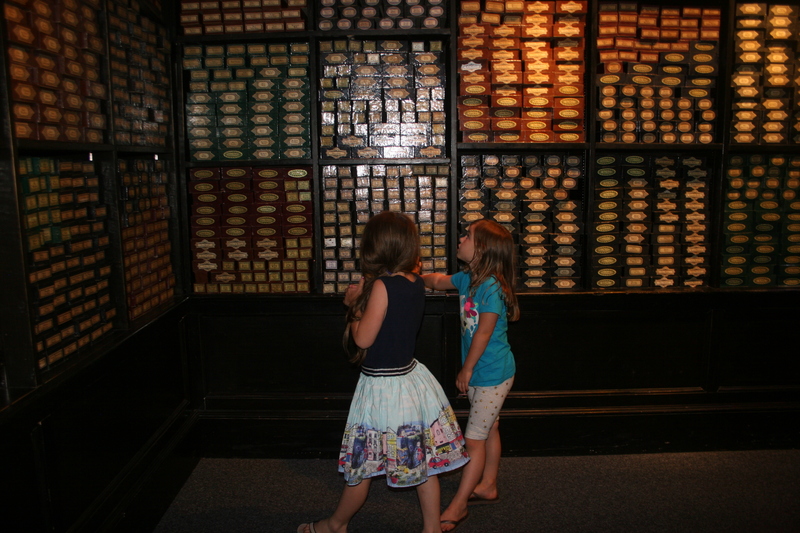 My seven-year-old was enraptured by the talk at the wig stand and delighted in telling me stories about Malfoy’ wig. 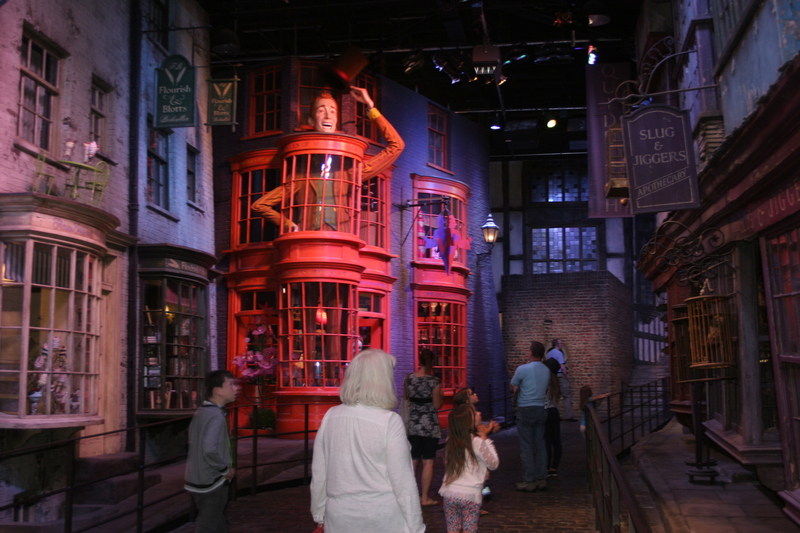 There are plenty of exhibits young children can interact with from making magic to wand workshops and riding on a broom. The guides were so good at encouraging the kids as seen in this video clip. Next stop Platform 9 3/4. Inside the Hogwarts Express, the carriages move through the movies in sequence , decorated with appropriate props. This takes you to the outside lot where you can sample butterbeer or butterbeer ice cream. The detail in Privet Drive is wonderful, each certificate on the wall depicting Dudley’s pointless achievements. Lily and James Potter’s house. The final lot features special effects, illustrated by a series of clever videos and the art of Harry Potter. The tour ends with a surprise that truly takes your breath away, so I’m not going to offer any hints to spoil it. 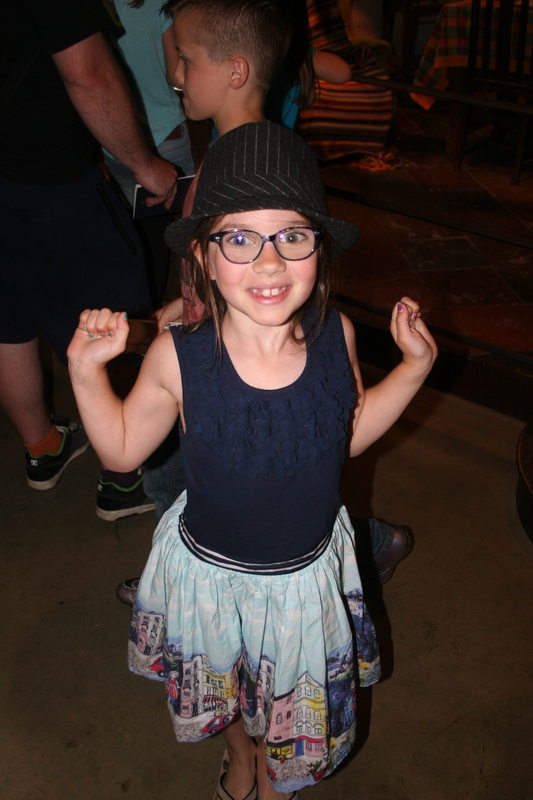 There is so much to see at the Warner Bros. Studio tour. I would plan to stay at least three hours and allow extra time for shopping. There is a lot of exclusive merchandise and entry to the shop is not permitted without a ticket for the tour. We found some cool stuff although sadly I ruined my husband’s Slytherin Quidditch top with bleach after he had worn it once. Looks like I have the perfect excuse to return some time. 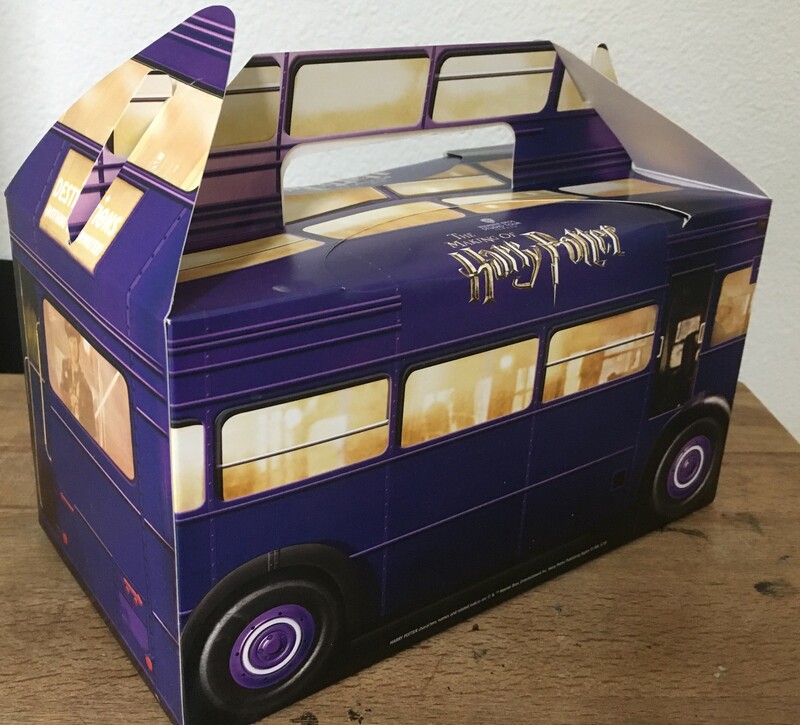 If you visit the café, the kids lunches come in this really cool knight bus box. There was never a complaint from any of the kids that they had seen enough, the whole experience was utterly engaging and we wouldn’t hesitate to return. If you are looking for a full, well organised and good value experience I would put this top of your list. 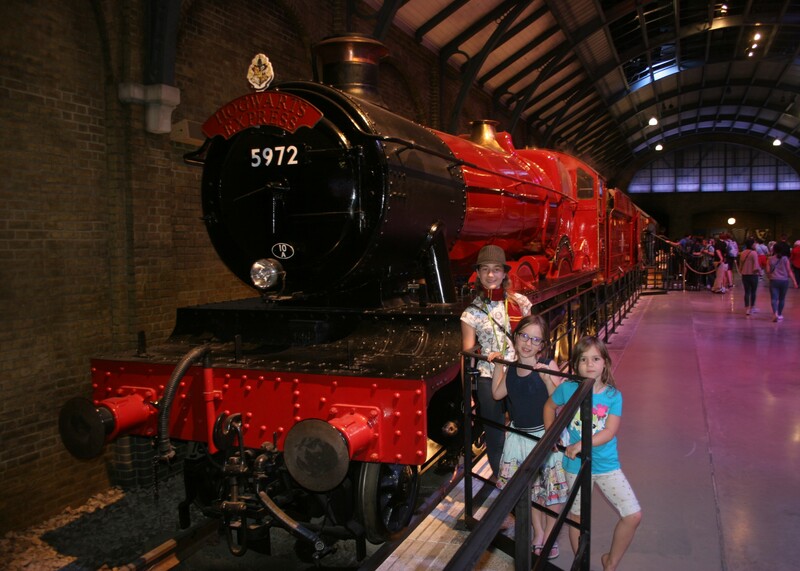 When I asked the girls what their favourite part of our trip was, the unanimous response was Harry Potter! In case you need further confirmation, just look at these faces. Disclaimer: No payment or complimentary tickets were received for writing this post. Previous PostCharlie and the Chocolate Factory the MusicalNext PostPicture Books for Children Who are Afraid of the Dark. This is incredibly wonderful! Thank you for this post. What a pleasure to read this and see your photos! I’ve never been but hope to someday. Your piece brought it to life beautifully – thank you!